This is Sad Batman. 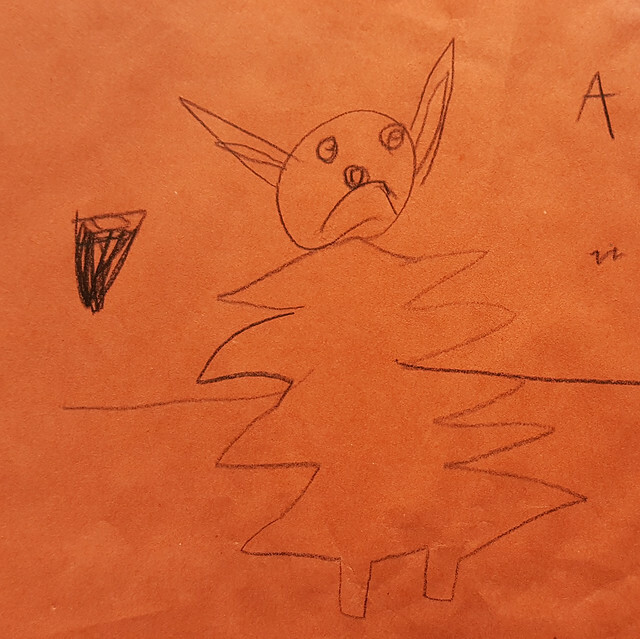 Sad Batman, a black crayon rendition on orange construction paper who looks a lot like a Christmas tree with a bat head, is sad, "because he lost Wildstyle and Emmett". This is a reference that will make no sense if you haven't seen The Lego Movie and hence will not make you LOL as hard as I did. On a completely different note, check out who's fashion-ready for the Cassini End of Mission. 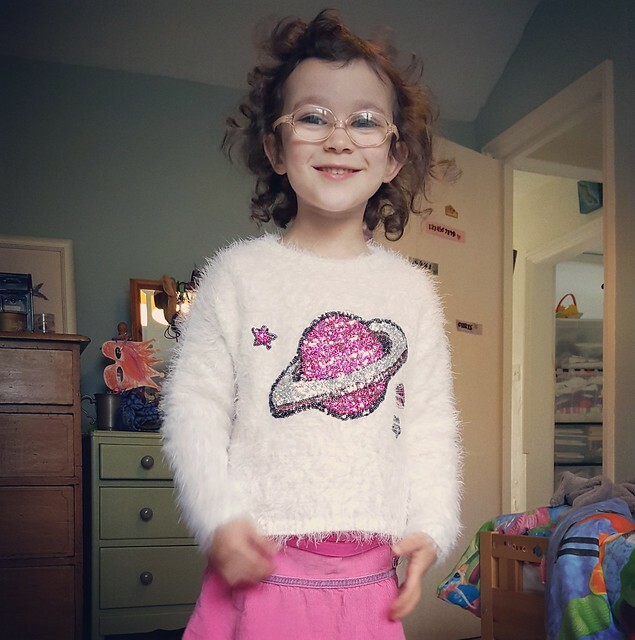 We were at Marks & Spencer buying school clothes last weekend when Humuhumu spotted this white fluffy jumper with pink sequin ringed planet. I couldn't resist. This entry was originally posted at http://nanila.dreamwidth.org/1102981.html. The titration count is at .0 pKa.